Orange County Plumbing Heating & Air Conditioning is committed to serving Laguna Beach citizens in Orange County. 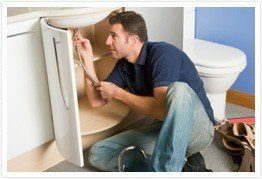 An expert and professional service for your plumbing, heating and cooling needs is guaranteed with our company. Plumbing technicians at Laguna Beach are highly trained, licensed and security screened to ensure your safety. A warranty is added to all of our installations, repairs and maintenance services and we always make sure that our clients are 100% pleased with the quality of our work. In case of a plumbing, heating or AC emergency or if you want to schedule a routine maintenance, do not hesitate to contact Orange County Plumbing Heating & Air Conditioning in Laguna Beach right away. We also offer exceptional preventative maintenance plans inspections for both heating/cooling systems and plumbing. Call us today for 24-hour emergency service, installation, repair and maintenance services or simply schedule a service online. Receive $20 off any service in the city of Laguna Beach!